Inspiration can be found anywhere. Sometimes, all you need is a tilt of your head (or tile!) 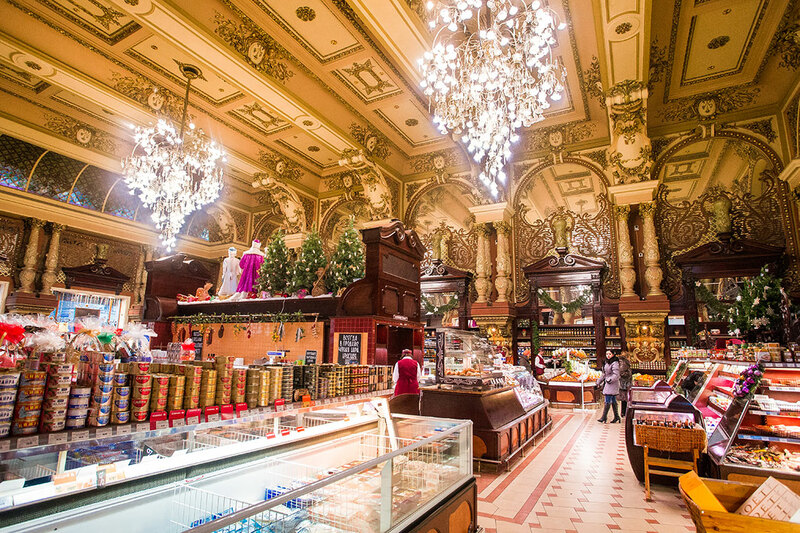 The beautifully ornate design of this 115 year-old Eliseevsky grocery store in Moscow has achieved a look of grandeur. Here, they took standard tiles and changed the direction they’re installed. Thinking a little outside the box can produce a beautiful result. Now there’s some food for thought.